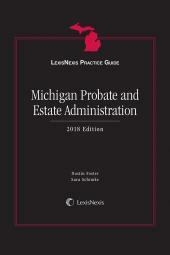 The LexisNexis Practice Guide: Michigan Estate Planning and LexisNexis Practice Guide: Michigan Probate and Estate Administration give practitioners step-by-step guidance in the areas of estate planning and probate and estate administration. 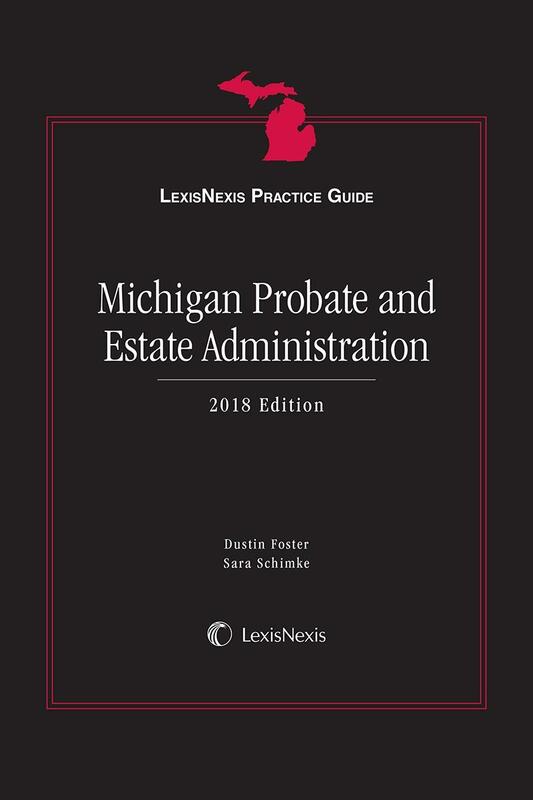 Authored by Professor Dustin S. Foster, an Assistant Professor at the Thomas M. Cooley Law School and supervising attorney for the law school 's Estate Planning Clinic, and Sara Schimke, an Associate in the Southfield office of Jaffe Raitt Heuer & Weiss in the Estate Planning and Probate Practice Group, the Practice Guides include clear and concise explanations of the fundamentals of Michigan estate practice, checklists to ensure that practitioners address all of the salient points in any transaction, professional tips for both beginning and experienced practitioners, and alerts to traps for the unwary practitioner. To further enhance the usefulness to practitioners, the Practice Guides incorporate both official and unofficial forms needed to complete the estate and probate processes. Probate and estate administration is the culmination of the estate planning process, and is concerned primarily with the economical and expeditious distribution of a decedent 's assets to designated devisees-beneficiaries according to instructions contained in the estate plan or, if the decedent died without a will, to those persons entitled to distribution under the application of intestacy laws. 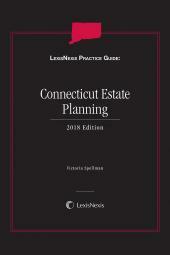 The estate administration process, including the effective utilization of available elections, disclaimers and related techniques, also permits extensive post-mortem estate and tax planning. 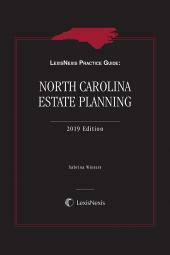 This Practice Guide is intended to direct the practitioner through the probate process and to point out various tax requirements and planning opportunities. This Practice Guide for probate and estate administration addresses the requirements for gathering information efficiently and effectively and contains tools to accomplish those goals. The Practice Guide introduces the practitioner to probate processes, and the estate administration process, including the preliminary gathering of information necessary to administer an estate efficiently. 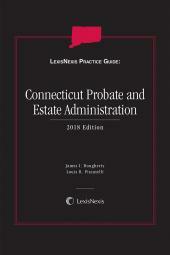 While serving as a guide to probate and tax procedures, this book is not intended to be a substitute for a practitioner's knowledge of local probate procedures or for a practitioner's awareness of relevant tax considerations. Thus, the audience for this particular publication is the practitioner who has some knowledge in the area of tax planning and return preparation. As is true with the estate planning process, it is perilous to present a book on probate and estate administration with forms constructed solely from standard use. While containing standard forms that comply with current law, the forms in this book also reflect the need for individualization, as well as federal and state law changes and the effect that they have on standard forms. Based on the experience and expertise of the authors in the area of Michigan estate planning, the text of the book alerts the lawyer to the most efficient and effective ways to ensure compliance, and further alerts the lawyer to potential traps for the unwary. Dustin S. Foster is an Assistant Professor at the Thomas M. Cooley Law School, and teaches Wills, Estates, & Trusts and is the Professor/Director and supervising attorney for the Estate Planning Clinic. He is a graduate of La Salle University, B.A. 1994, and of the Thomas M. Cooley Law School, J.D. 1997. Mr. Foster has lectured about estate planning matters. Prior to joining Thomas M. Cooley Law School, Mr. Foster was an associate with Bernick, Omer, Radner & Ouellette, P.C., practicing in the areas of estate planning, probate, elder law and family law. He is a member of the National Academy of Elder Law Attorneys, the American Bar Association, State Bar of Michigan, Oakland County Bar Association, the Ingham County Bar Association and member of the Oakland County S.A.V.E. Task Force (Serving Adults who are Vulnerable and/or Elderly) and Legal/Medical subcommittee member. He is also a recipient of the Institute of Continuing Legal Education Probate and Estate Planning Certificate. Sara A. Schimke is an Associate in the Southfield office of Jaffe Raitt Heuer & Weiss in the Estate Planning and Probate Practice Group. Ms. Schimke specializes in Elder Law issues, including long term care planning, Medicaid planning, and veteran's benefits. She also counsels and represents clients with special needs planning, blended families, tax planning and real estate succession planning. A graduate of Northern Michigan University, Ms. Schimke received her J.D. from Thomas M. Cooley Law School. Ms. Schimke is a frequent speaker for bar associations and legal education groups in the areas of estates and elder law.